In one of our recent articles, we explored similarities between retirement planning and marathon running. One of the take-home messages that we touched on was that retirement planning doesn’t cease on the day that you retire – it’s simply a transition to the next phase of your life. This retirement phase also requires careful planning and management, especially regarding the risks you may face in retirement. Probably one of the greatest risks is the potential to run out of money in your retirement savings by living longer than you had expected; this is commonly referred to as longevity risk. In terms of life expectancies in Australia, based on 2013-15 statistics*, a 65 year old male could expect to live for an average of 19.5 years (to age 84.5 years) and a female 22.3 years (to age 87.3 years); however, there are many factors, such as your existing lifestyle choices and health status, that could see you live beyond these average life expectancies. As such, to fund your desired lifestyle, you may find that your retirement savings need to last longer than your life expectancy. In this article, we discuss several interrelated considerations for retirees in terms of retirement savings and longevity risk. Retirement often involves a shift from employment income to income derived from a combination of your retirement savings (investments inside and/or outside of superannuation) and potentially the Age Pension. In most cases, this requires a reduction of your lifestyle expenses to accommodate a drop in your total household income. Initially it may be difficult making this adjustment, especially if you have become accustomed to a higher standard of living that your employment income allowed. Consequently, you may find that there is the temptation to keep your pre-retirement lifestyle afloat with larger than planned drawdowns from your retirement savings; however, it’s important to realise that, your retirement savings are a finite resource, that is, at some point they will run out. As such, the drawdowns you make to fund your retirement lifestyle need to be sustainable for the long-term. If you are finding it difficult transitioning from employment income to retirement income and the subsequent change in lifestyle that often accompanies this, then consider completing a budget and reviewing your household expenditure. Both of these are great ways to help assess and manage the way you spend your retirement income. Furthermore, you may even identify areas where surplus income potential may exist and depending on your personal circumstances, it may be worthwhile considering using this for investment purposes to further bolster your retirement savings. When you commence an account-based pension to fund your retirement lifestyle, you will find that there is a minimum annual pension payment amount that you must receive. As shown in the below table, this is a percentage drawdown on your account-based pension’s balance that incrementally increases as you reach certain age brackets in your retirement years. Due to this minimum percentage drawdown, as well as other factors such as lump sum withdrawals and fees, your account-based pension’s account balance will eventually reduce. The rate at which it reduces can be accelerated by your decision to draw more than the minimum annual pension payment amount. For example, let’s say you retire at age 65, commence an account-based pension with a $500,000 balance and the underlying assets generate a total net return of 5% per annum. If you opted to draw $25,000 per annum (indexed to inflation), then you may find that your account-based pension lasts approximately 25 years (age 90); however, if you decided to instead draw $50,000 per annum (indexed to inflation), then your account-based pension may only last 11 years (age 76). Based on the average life expectancies and drawing $50,000 per annum, this could mean a potential shortfall in your retirement savings of 8.5 years for a male and 11.3 years for a female. Consequently, you may then find that you need to rely solely on the Age Pension to support yourself in retirement, which may result in a reduction in your retirement lifestyle moving forward. Although the above example is simplistic in nature, it does highlight the importance of being mindful of the impact that drawing more than the minimum pension payment amount can have on your retirement savings over the long-term and the potential ramifications that this may have for you later in life. In addition, it also leads us to the next consideration. Being too conservative with your underlying assets and not appropriately considering your specific cashflow requirements over time are two things that can also affect the life of your retirement savings. As such, the three-bucket approach aims to extend the life of your retirement savings whilst appropriately managing your retirement lifestyle needs along the way. A ‘growth bucket’ with the remaining balance held with more risk-associated investments (e.g. property and shares) for longer-term growth. The cash and stable buckets are then replenished periodically, with enough funds to cover the next two to four years of regular pension payments and expected lump sum withdrawals. For a more detailed overview of the three-bucket approach, please read our article, ‘The three-bucket approach to retirement investing’. Another way to help your retirement income stretch further is to understand and take advantage of any concessions you may be entitled to. For example, depending on your eligibility, this may include the Commonwealth Seniors Health Card. This card may assist you with certain health care costs (e.g. cheaper medicine under the Pharmaceutical Benefits Scheme), and depending on your state or territory government and local council, you may be entitled to other benefits (e.g. a reduction in your utility bills and property and water rates). Although this may be the last thing on your mind after retiring, by participating in part-time or casual work you may gain access to additional income to spend on your retirement lifestyle and/or use for investment purposes to further bolster your retirement savings. However, before undertaking part-time or casual work, it’s vital to consider what implications this may have on other aspects of your life, such as your Age Pension entitlements. An annuity primarily invests in cash and fixed interest assets. It can provide you with guaranteed income payments over your lifetime or for a fixed number of years; this may help secure income payments when market volatility may affect other income generating assets within your investment portfolio, as well as make sure a portion of your retirement savings are immune to longevity risk. 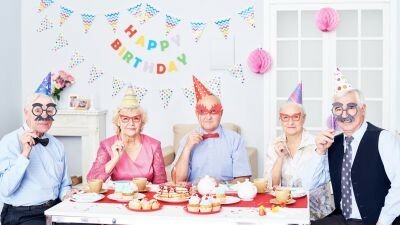 Given our increasing life expectancies, it’s no surprise that longevity risk is one of the major concerns for retirees; however, with careful planning and management, appropriately considered strategies can be put in place to help mitigate this and other potential risks you may face in retirement. If you have any questions about the considerations discussed in this article, please contact us. In addition, if you are yet to retire, we suggest you take the time to read two of our recent articles, “Future self-continuity: Preparing for the future” and “Running the retirement race”.